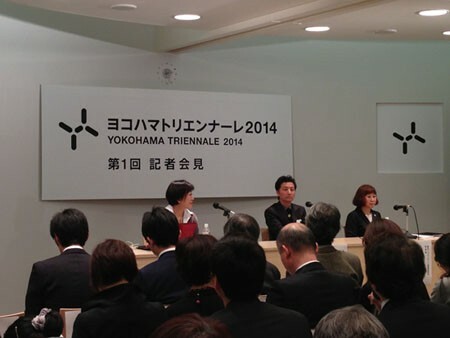 Artist Yasumasa Morimura has been appointed artistic director of the 5th Yokohama Triennale, it was announced Dec 18. The exhibition will be held in 2014, giving Morimura more than a year to prepare. Although Morimura is not widely known for curatorial activity, his mixed-media photographs, videos and installations reflect a research intensive practice and a critical eye toward Japanese and international art history. The Osaka-based Morimura is the second artist to helm the Triennale, following Tadashi Kawamata in 2005. After significant delays, Kawamata was a last-minute replacement for the originally appointed director, architect Arata Isozaki. The inaugural Triennale in 2001 was directed by a committee of leading Japanese curators including Shinji Kohmoto and Fumio Nanjo, while the third edition in 2008 featured an all-star trio of international curators – Daniel Birnbaum, Hans Ulrich Obrist and Beatrix Ruf – alongside Japanese peers. Held in 2011, the most recent edition of the Triennale, which was downsized in both scale and budget, was led by the Paris-based curator of Palais de Tokyo, Akiko Miki.